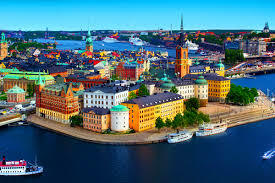 Enjoy 14 days touring Denmark, Sweden & Norway! Includes roundtrip airfare from Milwaukee and all hotel accommodations. 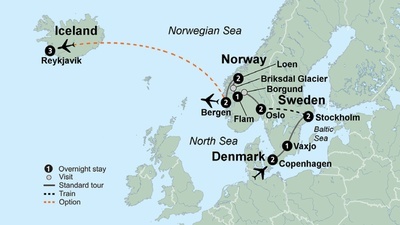 Copenhagen, Vaxjo, Swedish Glass Museum, Stockholm, Vasa Ship Museum, High Speed Train, Oslo, Viking Ship Museum, Stave Church, Flam Railway, Sognefjord, Briksdal Clacier, Geirangerfjord Curise & Bergen.